I have been traveling and found two great new quilt shops. 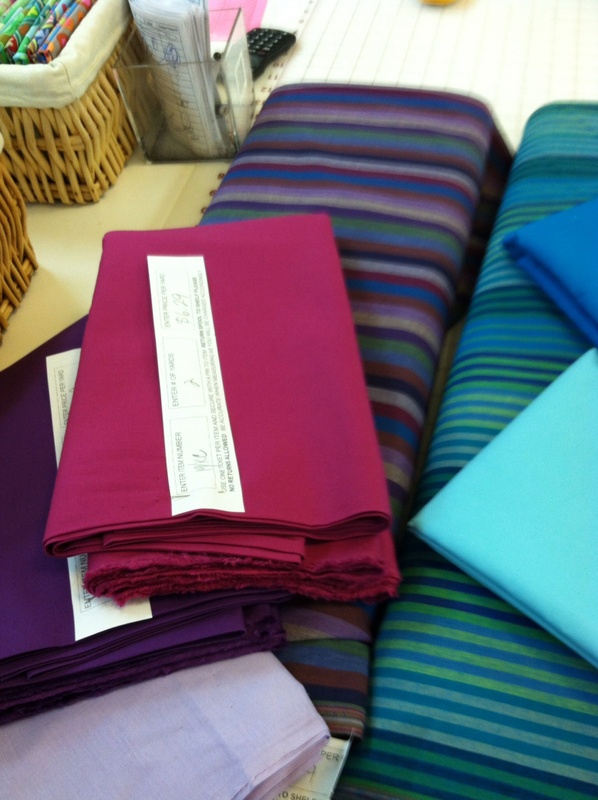 The first, near Providence, RI is Ryco Fabrics in Lincoln, RI. 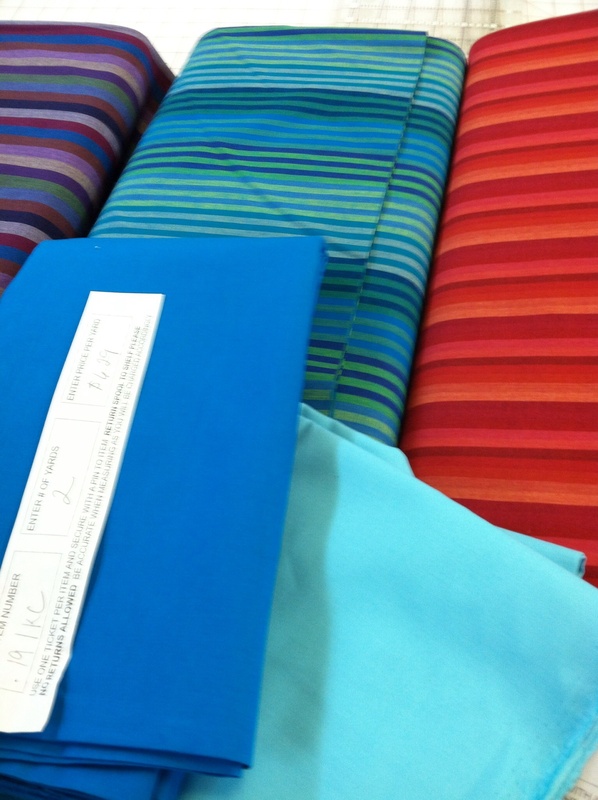 I found some great solids there to start a new quilt. 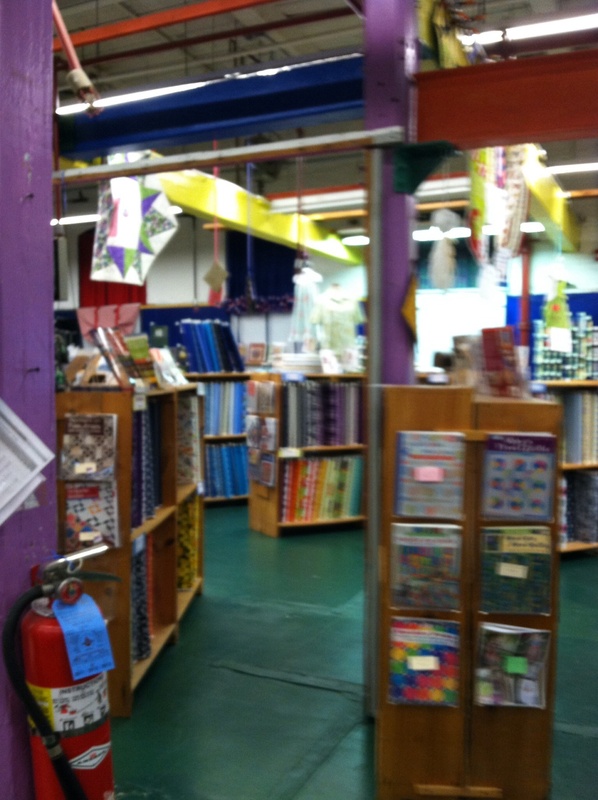 Next, I came back to Atlanta and went to Intown Quilters in Decatur, GA which is near Stone Mountain. 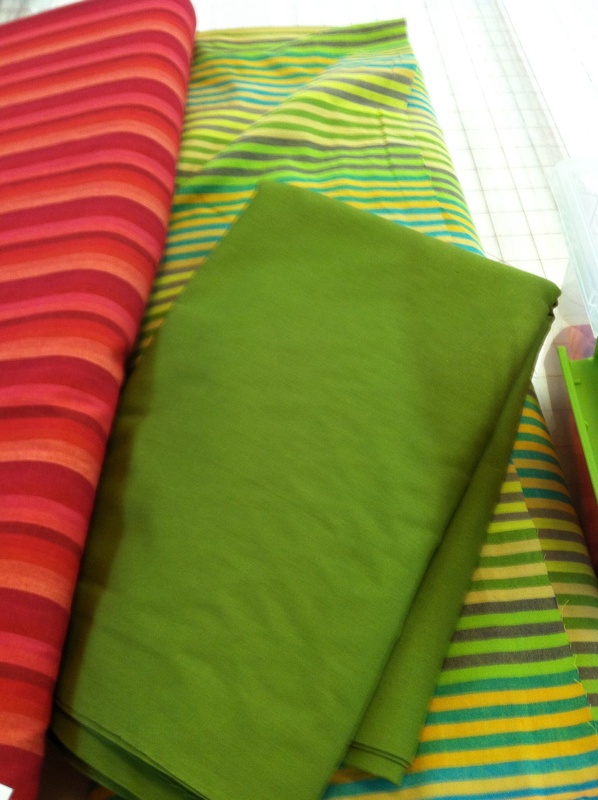 I found these wonderful Caffe Fassett stripes to go with my solids. So, I’m now planning how to use them. Fun, fun! The white papers on the solids are labels of the name and number of the fabric in case I need more. 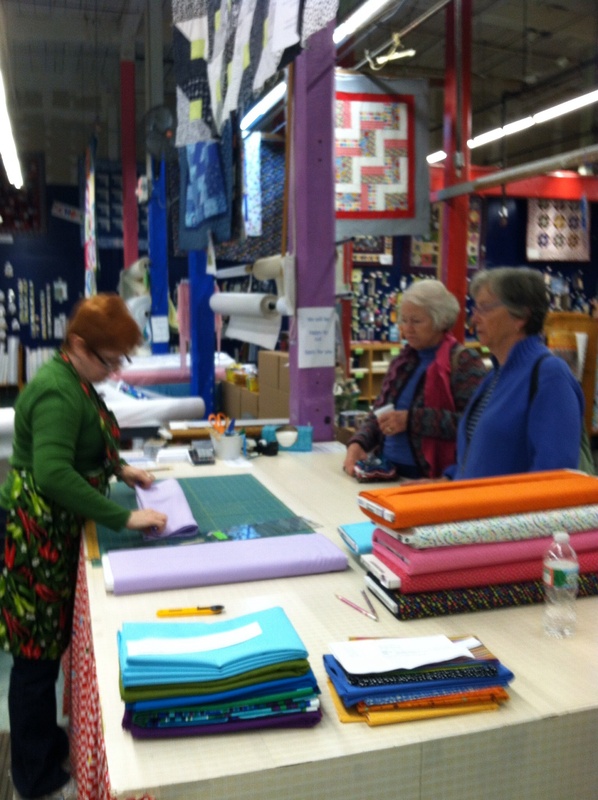 There are just about everything Caffe Fassett makes in this store and lots of solids and other modern prints. If you get to Atlanta, it’s easy to find. This entry was posted in Uncategorized and tagged Caffe Fassett, Fabric Stores, Modern Quilting, Quilting, Ryco Fabrics. Bookmark the permalink.